Sullivan Veterinary Service, S.C. is a full-service veterinary medical facility, located in Sullivan, WI. The professional and courteous staff at Sullivan Veterinary Service, S.C. seeks to provide the best possible medical care, surgical care and dental care for their highly-valued patients. We are committed to promoting responsible pet ownership, preventative health care and health-related educational opportunities for our clients. 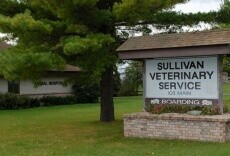 Sullivan Veterinary Service, S.C. strives to offer excellence in veterinary care to Sullivan, WI and surrounding areas. I arrived in Sullivan fresh from the University of Minnesota Veterinary School in 1983. I am originally from Sheboygan County. I graduated from Kewaskum High School and the University of Wisconsin - River Falls. My wife Susan and I have been married since June 1988. Sue teaches of St. John the Baptist school in Jefferson. We have two children. We have four furry members in our family. Luna and Maizie are our cats, Rusty is our horse, and we just added to our family a golden retriever named Libby. My hobbies are gardening, cutting firewood, dabbling in woodworking and traveling. There are so many aspects of my job that I enjoy. I love the endless variety of patients and clients. I truly love the interpersonal contacts we make. If I had to list my favorite thing, it would be delivering babies of all species. I have the best job in the world and am truly blessed to be a veterinarian, husband and father. I grew up in Mukwonago and received my undergraduate degree in Biology from Purdue University. I then attended the University of Wisconsin School of Veterinary Medicine where I graduated in 1999. I worked for several years in the Milwaukee area before coming to Sullivan in 2003. I became an owner of Sullivan Veterinary Service in 2005. My favorite aspect of being a veterinarian is that no day is ever the same. I love the variety of cases I work on everyday. I have a special interest in orthopedic surgery and feline medicine. I currently reside in Hebron with my husband and our 2 children. Our family also includes two dogs and three cats. 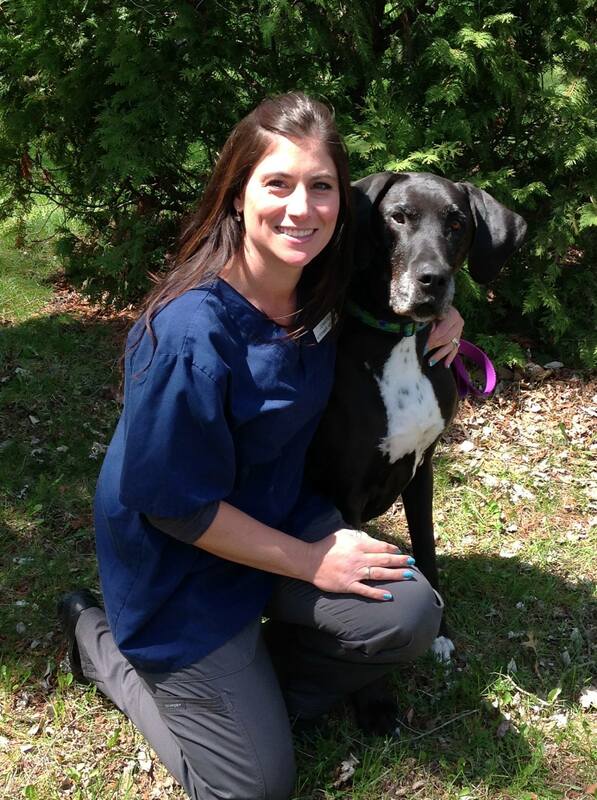 I was born and raised in Waukesha, and started working at a veterinary hospital while I was in high school. By that time, I realize that I wanted to work with animals in some way. I received my undergraduate degree at UW-Parkside in biology and then went on to veterinary school at Ross University in St. Kitts (located in the West Indies). I graduated in 2011 and have been practicing small animal medicine ever since. I started working here at Sullivan Veterinary Service in 2018. I have been married since 2014 and currently live in North Prairie with our 12 year old son. Of course our home is full of pets; 3 dogs (Kenzie the Westie and Isaac & Bruno the Papillons), 2 cats (Alex & Olivia) and 2 reptiles (Rango the bearded dragon & Monty the ball python). I love getting to know my patients and their families and watching them go through different life stages. When not at work, I'm usually taking care of my menagerie of animals. My other hobbies include cooking/baking and archery. But most nights are spent cuddling on the couch with all my furies. I grew up on a dairy farm in the Town of Concord and have always enjoyed being with animals. I have known the doctors here at Sullivan Veterinary Service since I was a little girl. 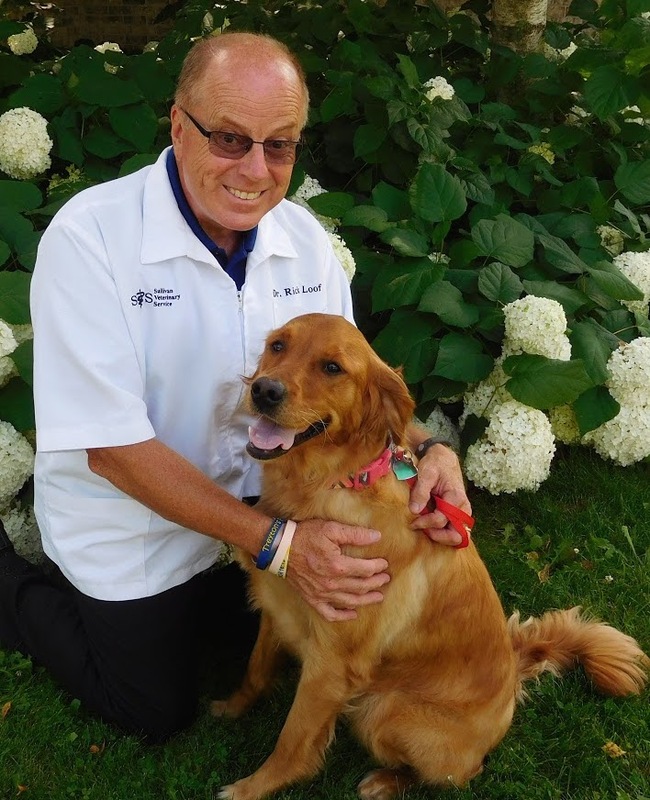 I graduated from Lakeside Lutheran High School in 1986, and came to work here at Sullivan Veterinary Service in 1994. I have always wanted to be involved with veterinary medicine, and since I also enjoy accounting, this has been the best of both worlds. I still live in the Town of Concord with my husband and our daughter. We share our home with our Brittany Spaniel, Lucy and Fiddler, my horse. 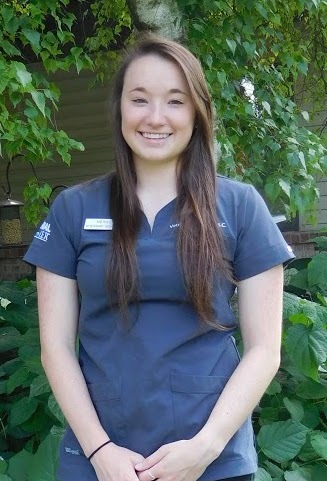 I am a Certified Veterinary Technician here at Sullivan Veterinary Service. I graduated from MATC - Madison in May of '97, and started working here in December of 1997. I live in Helenville with my husband. We have two cats, a Golden Retriever named Gus, and four chickens named Sweet, Sour, Salty & Savory. We enjoy spending our free time camping, fishing, short track racing, and spending time with family and friends. I enjoy the family I have here at Sullivan Veterinary Service along with the friends I have made through the clients and patients. 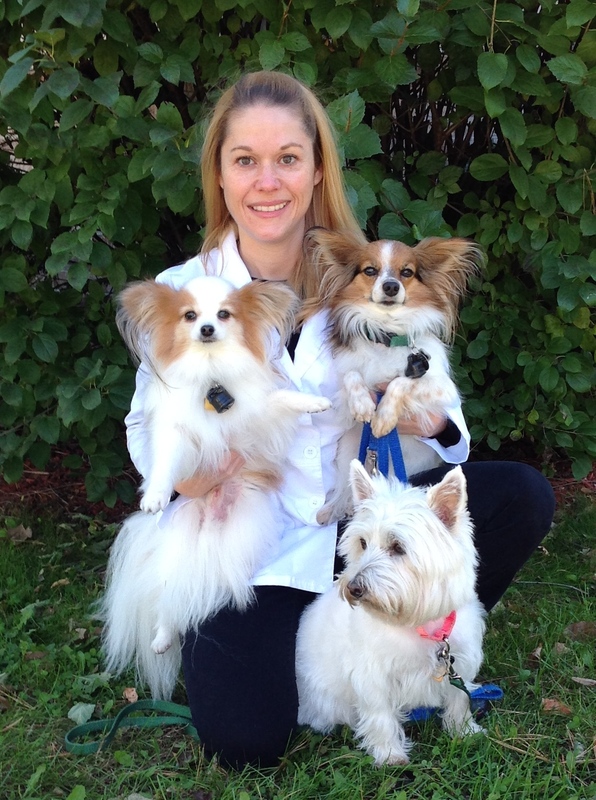 I am a part-time Client Service Representative here at Sullivan Veterinary Service. I have been working at this wonderful facility since the fall of 2000. I earned my bachelor's degree in Sociology from UW-Stevens Point in 1997. I married my husband in 1998 and have 2 very active kids to keep up with. In my free time I enjoy reading, baking, and crocheting. I have always loved animals, and currently have two energetic Border Collie mixes named Tinkerbell & Lottie and two orange tabby cats named Ginger & Nutmeg. My children are active in 4H and we hand raise chickens, ducks, and African geese which they show at the local county fair. I enjoy my job very much thanks to the wonderful clients and pets that I am able to work with. I began working for Sullivan Veterinary Service in 2012. Working with animals has always been a passion of mine. I live in Fort Atkinson with my husband, and our 3 daughters. We currently share a home with two Great Danes named Lily & Pepper, a Pug named Millie and our two cats Chelsea & Binx. But between my girls and I, this can always change! Outside of caring for animals and my family, I enjoy spending time outdoors gardening, camping and hiking. I also love going to antique/estate sales and repurposing treasures. 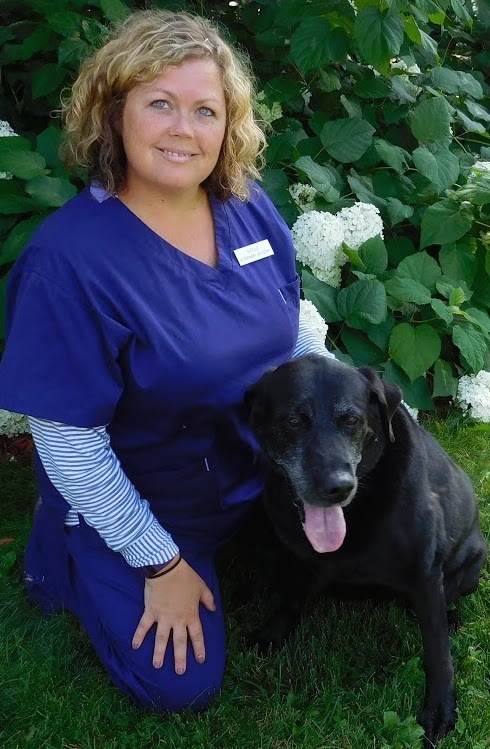 I began working for Sullivan Veterinary Service as a kennel assistant in 2012. I then started as a veterinary assistant in 2014. In 2017 I graduated from the University of Wisconsin - River Falls with my bachelor's degree in Animal Science. I am currently going to school at MATC in Madison to become a Certified Veterinary Technician. I live in the Town of Concord on our family farm that I grew up on with my 37 chickens. 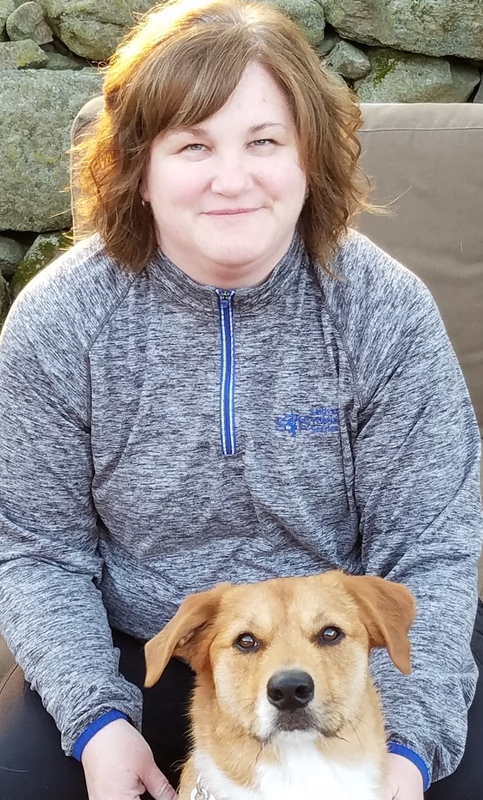 I joined the group here at Sullivan Veterinary Service in 2016. I live in Whitewater with my husband of almost 20 years and our 3 children. We share our lives with a dog, 5 cats, a horse, two donkeys and about 30 chickens. I started working here at Sullivan Veterinary Service in 2017. I live in Palmyra with my two children and my dog Ben. I said please, didn't I? Maybe we should have named him Pistol instead. Life is always good! I am going on two and loving every day! I won the HAWS beauty contest last year! I still talk about it.